I’m attempting to wrestle with showing grace under Kickstarter fire, not to mention bad hair days, and so sorry a blog has become a tedious repetition of links and reminders. I’m a little surprised though many readers have not backed the great Light of The White Bear fight and seem to be here only for the un-allowed and long gone private lives of authors and editors, and the gossip too. Not to mention the laughable poison that can sometimes lurk in the immediate neighbourhood of dear old Facebook. It was a delight to see that jumped on by other supporters. They really are very welcome to disagree, and of course still almost publish Fell, one reader blogged he could not find in the shops, but I should be telling the story of Uteq of the Black Paw! Another glimpse is in an Update, but then off to study St Cuthbert and get a bloody life. I had a weird dream last night, about a great, ancient house, and a beautiful woman seeking love, yet my failure to reach her! Something’s terribly wrong then, and out of a story that might give actual proof of what Jung called The Collective Unconscious, with so many connected dreams, I think it’s about my own family name, and a ‘house’ I’m very proud of. My father and grandfather’s house. The third post below has been removed then, not in again backing down on it here, but because there are ‘Calibans’ out there, in the lost cyber world, and it’s too specific and too invasive to my family. It’s also too long. I’ve been very ashamed in terms of harm to that name, having had to talk about my fear, internet addiction and a nervous breakdown, although the term’s too easy. As for Fifty Shades of Grey stuff, just let it be some warning about what it does to real love, although I think the psyche will find any way it can to heal itself and I try not to judge. Anyone can come here just to talk about it, in trust. A writer is on a reader’s side, as editors should be on a writer’s side. You cannot be labelled mad and evil by a major editor though, at the heart of a department, and it just be left there at any serious publisher. A cry for help has been completely wrong, I would rather help, and this isn’t, it is open protest. As for miracles, it’s enough to know some ‘bad’ miracle happened, if only in the relationship between my novel, and real events with a real child, concerned with eyesight and seeing. But then I did write The Sight. It’s written not just across one but several novels, and strange events too, as Fell involves people at my own publisher Abrams, in happier days. The novel commented on by an ex and my own editor, as it was being written and real events being turned to fiction, but which an ex refused to even read, as she slammed a door. It’s tragic that at a Children’s and fantasy publisher, Amulet, a wing of Abrams, and with people who mouth ‘God’, they could not have given the spirit of love to at least try a real miracle, when I cried out in the middle of Scream, or something good for a family, in those terrible circumstances. I think that’s why a CEO reversed a decision to cancel a book, he had no right to cancel, only when a family member called, so not to been seen to be awful, yet the way they tried it was even more Kafkaesque. I resisted that too, but had to walk away. Two people there, my editor, the now Vice President, and the President of Abrams, should answer it, and say why they destroyed a lauded writing career, with no regard to writing process, award-winning story or fans at all. With no regard to the meanings in my books, trying to address Global Warming, endangered animals or a climate of World Terror, much about America, that must affect our children as much as us all. They are not simple issues, as Man is not a simple animal, and need addressing in story. Perhaps they have to ask if an ex is only capable of malice. Why the former Vice President and my publisher was removed, but no redress made to me, or just no action taken to stop it, and where they think real ‘evil’ lies too. Whether it might be more related to terrible American labels like ‘Evil’, their legal abuses, appalling human cruelty, over so long, and to the obsessive privacies of a woman, my ex and so-called friend, who comes from a family involved in real child abuse and a death from Aids, but who caused such much harm in her selfishness and mounting arrogance. That does not ignore my own rage, or pleading. The CEO admitted both Civil Conspiracy inside a department and breach and repudiation of contracts. I’m loosing my home now, but no US lawyer will touch the case, because I can’t afford to pay, and perhaps because of my so-called ‘harassment’ of someone I loved, had spent two years with, and discussed a life and future with. A Pro Se, self respresenting action 3000 miles away is too difficult, and could take years, while only 7% win, but never say never. The truth is it was harassment of me too, by my editor too, in a place I could not walk from, with five novels at a firm and a career just taking off in the USA, although something tore out of me, in despair at what people can do, and what she did. Their lie though that my ex, simply as an officer of company, had no better duty of care to me than “Hew, Screw and Glue” was first used in a cover up, I exposed, then described as ‘tedious’ by a CEO, then returned to as a legal manoeuvre to further harass me and a blog right up to 2011, and hide the truth. Every time they have backed down, when I found the strength to stand up, if sometimes I just appealed to love or spirit and hate invasion, and I have invited them to challenge in court. They should be shamed into action, but have no shame. It was humanly appalling that a woman I had a natural right to trust, let alone loved, could not show any sensitivity to my asking for help over addiction too, or to protect delicate privacies, from a medical issue, to other secrets. Think of ‘David’ in ‘One flew over the Cuckoo’s nest‘ and Jack Nicholson getting labelled mad and lobotomized. Perhaps I should be happier being ‘the bad boy’. The response she put in a Company email was collusion too, inside a small department I loved, incredibly cruel, and harmed several people’s lives. It’s human and artistic cynicism is disgusting. I am stopping a blog though, because it is harmful to me psychologically, going back and back to the issue. But also in silent protest at what happened and is happening everywhere, although this is just one publishing story. There’s no respect nor protection for the artist though, unless money is involved, but all over we see abuses of power. Abrams’s abuses became monumental, but Macmillan UK were in specific breach of contract too, just handing electronic rights to Penguin US, and have no respect for a classic novel either, letting Fire Bringer fall out of hard copy print after 12 years, and with amazing reviews, and resounding love and praise from readers. Penguin UK keeps classics in print, even if the turnover is not huge. I wonder what they will do to The Sight. It sounds arrogant to say it, but when a friend of my brother’s asked what her daughter might think of Fire Bringer and I said she’ll say it’s “the best book she’s ever read“, in three weeks she came back to say “she said it’s the best book she’s ever read!” I’m not arrogant, but very confident as a writer and storyteller, or was, when I was allowed to do it, with proper and legally contracted support. I just can’t survive this now and cannot find an agent or the right support. No simple sob story, just an awful story. Culture is in danger though when no one stands up, but then my own editor was allowed to breach my rights to Privacy and Seclusion to another publisher at Penguin US, treating everything I am as owned commodity, while literally using a threat to my own career to muzzle me. “The one thing in life I have learnt, David, if anything, is to keep my mouth shut,” she had already said. As well as warning “we will protect our girl” and being intimately involved both with my ex and her new man, as I saw when I flew out to New York. Fine, but you are a protected editor, behind the scenes, living off share schemes in your writer’s work, using The Sight in your job interview, not an author hired and risking everything to write truthful or inspiring stories. What she said on the phone to my former agent Ginger Clarke in 2009 must be considered to have involved some kind of criminal libel. “Loyalty is a tricky thing,” she once told me too. It certainly is at Abrams. She put Abrams in specific breach of written conditions of contract too, fighting absurdly for her “power over her list”, nothing else, and admitted to seeing it was all”holding my life to ransom”. But then did nothing except exploit the situation to get to the top as Vice President and try and force a novel into print she mangled, to try and keep a secret from a CEO. The Calibans are definitely at the heart of Abrams, and these are bald facts. That is why ‘culture’ is being given mass market books like Diary of A Wimpy Kid and Hello Kitty, which drive the money machine and so editorial power too. I was born to write and am rather addicted to blogging too now, earning nothing here, if we’re all addicted to the Internet these days. That needs debate itself but the truth is Phoenix Ark, including most design, was built single handed. Readers’s letters and support were extremely important to that. There are brilliant stories here though, about many things, especially real London in the late 16th Century and Edmund Shakespeare, and other artists and writers might have come in, if everyone was not so wary of being linked to a ‘scandal’, or just looking for cash. That is the sadness of watching supposed friend’s reactions too, though it is quite hard to stand up to what I did stand up to, in such circumstances. You fight into a place of love and it harms the Self. It was quite hard to get my sanity back, at a point of the most enormous metaphysical grief and fear. I challenged Abrams, God and Heaven, like a loony, when I wrote to them and went on pilrimage, but it reconnected me, heart and soul, and Heaven’s inside and only on earth. Like Hell. 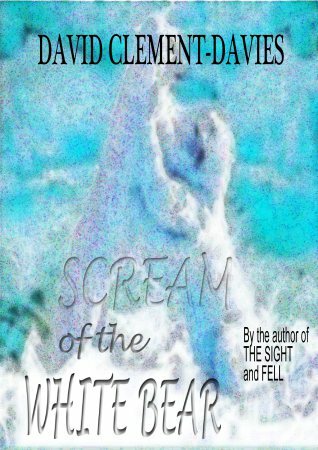 I’ve committed to readers to try and get Scream out and will, but everything stops now, until something dramatic changes, which I fully expect, in our frightened, frightening and faithless world, melting ice caps and all, it will not. Just to stress who I am, to resist any more fear or shame here, and show how the sad years have rolled on, a new author photo is going up in the page headed “The Beginning” too. Pity it’s most likely the end, but it was not for want of trying. Perhaps it’s been too much about me, but its spirit is about the times. I’m not Paulo Coehlo, nor a Catholic, am fascinated by science and nature, the writing power is really there, but I’ve seen true darkness and could help too, in a world that needs balance back, and the language of love, that breathes out of literature, religious and secular. Perhaps in six months time some miracles of the human heart will be allowed, because that is what storytelling is about too. The simplest proof of corruption at Abrams is the fact that publisher Harold Rove is no longer Vice President, but David Clement-Davies’s career was held to ransom, he was ‘mobbed’, his work destroyed but no apology or compensation ever given, for what Harold Rove’s removal surely proves was so wrong and unnecessary. Unless CEO Mike Jacobson simply manipulated everything for his own ends and Harold should not have been removed. Harold was liked by all his authors, was exceptional in his liaison skills, unlike often arrogant and aggressive Sarah Van More, new Vice President, but he, like David, was made a scapegoat for Mike Jacobson’s dislike of him and Sarah Van More’s conflicts and vaulting ambition. Welcome to the world of Amulet children’s’ books, that produce huge bestsellers at Abrams like Hello Kitty and The Diary of a Wimpy Kid. The long-term actions of CEO Mike Jacobson though were extraordinary. Over a situation that could have been resolved but was used to bully an author and he would not go on, could not, a half-hearted ‘enquiry’ was held, until Mike Jacobson tried to bully, his natural instinct, and a glaring stitch up and lock down was attempted, that within a week reversed words of promised support, right in the middle of a hopeless galley edit. That glaring lack of objectivity, even corruption, was resisted, repudiation of contract effectively admitted and work began again, in a situation where Sarah Van More should never have just removed support from a contracted author, on three books, because of her ‘power over her list’, bullied both personally and professionally herself, left a word like ‘evil’ at the centre of a creative firm, or masked a long-standing alliance with Tara Break, personal and professional, loudly sounded in the threat “we will protect our girl” months before. If she took revenge for Harold Rove’ slight amusement at the pressure she was under, David tried to move away, her sins became far greater, and perhaps a savage company culture in New York is to blame, fully justifying David’s fears, and experience of other publishing cyncisms, that makes the ideals fought for in fantasy literature, in any real writing, that authors not editors have to undertake, completely meaningless, despite the pretty covers. It had all started with the betrayals and personal and professional arrogance of Tara Break though, for any ensuing loss of control or despair on David’s part. A personal unilateralism, over-projected fear and blindness, that became an entire firm’s and in fact had to, once Susan Van Metre absolutely synthesised issues into “US” against “YOU”, that should have been kept separate, somehow, and Tara Break so arrogantly and destructively kept them there too, after an apology, in a situation that could be considered illegal and certainly psychologically damaging. But CEO Mike Jacobson’s actions over a personal and professional nightmare, where David asked for the wisdom of Solomon and got Saddam Hussein, became dreadful, and in the end are also proved by a highly regarded and committed author having to force dialogue and any say in the work already at Abrams, via the US Authors Guild. It was appalling. As Abrams used an Oxford lawyer to intimidate, pretend it was just about Tara Break, which so long back it was not, and try and silence an author and publisher on far bigger issues, instructing an entire department not to read a blog. But David had left because of the breach of a hardly acceptable agreement and the unilateral arrogance of new Vice President Sarah Break, in refusing to respect purely the work she had held there so long, or to heal the impossible atmosphere they kept there, to mask their admitted legal mistakes, and in ransoming his life and work, as she said she could see at the time. So perhaps a CEO and VP should stand side by side in taking responsibility for how Abrams disrespected work, fundamental principles of contract law, basic justice, equity, truth, the essential humanity literature should be about, especially children’s’ literature, and destroyed the excellent spirit that was once there at Amulet under Harold Rove. Tara Break’s irresponsibility underwrote the lot, but they ignore that issue, since it undermines their defence of David’s ‘bad’, they would never just put away in some act of mutual forgiveness and working peace. But the only buck that ever stops at Abrams is with over kind publishers, or vulnerable authors trying to work into walls of threat and nonsense, proving the power of editors over writers and money over justice. Why did Sarah Van More leave Dutton and why did both she and Tara Break not stand up to defend the man who hired them both, and who cared deeply about Tara Break, let alone Susan Van Metre defend the proper, indeed essential working conditions and spirit with an author whose work she said so good? Tara Break’s own ever cowardly silence, selfishness and in-action throughout, indeed long before, made an entire firm dance around her. Perhaps they tried, we hope they did, but ambition, back stabbing, cynicism and the failure to respect the truth and value of the writing itself are written right across that story. David was the one who wrote to say he would not work there if anyone was harmed, and look what happened. Roll on the next pulp instalment of Diary of a Wimpy Kid, but throw literature and ten years work in a dustbin! A post dedicated to Dinah, in Texas, because we may be grumpy, but we don’t forget friends. After so much re-examination and seeing the photos of survivors and the fallen at 9/11 in the Sunday Times Magazine, Phoenix Ark Press want to remember the people inside, and the lives touched and harmed in so many unseen ways. We pray some other moron doesn’t try and ‘commemorate’ today with more horror and fear. Sometimes war is necessary too, the fight against evil or for freedom, but nothing is an absolute and be careful where the rage is directed and how. One of the most moving things about the 7/7 attacks in London was just the silence of Londoners, in Parliament Square, on balconies across the city, just standing side by side, to resist together. The way the War on Terror has been operated, and used as a catch all too, to mask the real movements of money and power, has many deep flaws and generates much fear. It is the principles of freedom you stand by that truly matter, not the force you use or the rules you break, and even the Arab Spring suggests one man’s terrorist is often another man’s freedom fighter. Fear itself is one of the first things you have to fight inside yourself too, because it has a natural escalation and is corrosive. Did the philospher Francis Fukayama make a grave mistake when he wrote his thesis on The End of History though, believing in the final triumph of the Nation State and Liberal Democracy? We seem to have been in shock ever since. The world, like history, never stops turning, but those liberal values are right and must be defended. With the proviso that we understand we are on a completely interconnected planet, man, animal and biospheres, and must all wake up to it. No freedoms without responsibilities, no rights without awareness, no power without connection, and as little as possible – ‘them’ and ‘us’. To commemorate 9/11 too then, with a full knowledge of how sad and terrible it was, some other events in History, on 11th September. If you look at those ‘Today in History’ websites it is interesting how many of them are American, and so of course see the world from that perspective. So many things have happened and are happening all the time, and actually, in a dating perspective, time zones have shifted too, especially with the arrival of The Gregorian calendar, so those dates, at least the further back you get, are not exactly right either, but it makes you think. Like that song from the Flaming Lips though, that Phoenix have blogged before, today of all days, perhaps we also need a love song for the human and the beauty of nature too. There’s a power and a burning love and light in all of us if we find the courage to reconnect, and do not swallow the dark, the loneliness and the hurt. 1983 U.S.S.R. performs nuclear test at Semipalitinsk, Eastern Kazakhstan U.S.S.R.
1969 U.S.S.R. performs nuclear test at Semipalitinsk, Eastern Kazakhstan U.S.S.R. The documentary on the 9/11 mosque was rather sad. Firstly the anti camp, begun in a blogging campaign, fully using and enjoying the media hunger for story, it seemed to me, and talking about a ‘Victory Mosque’, and how Islam has always built on places of Jihad, and their conquest of ‘our’ holy sites. There is obviously a strain in unreformed Islam that has produced appalling militancy and extremism, and that needs to be talked about – isn’t it inevitable when you hold to Sharia Law? – but if we are talking about an ancient ‘clash of civilisations’ that those voices want to stress, try studying the history of the Crusades. One of its great lessons is the Christian Crusaders, armed with their own concept of Holy War, were astoundingly brutal and a lot more tolerance came out of Islam, at different times, not least allowing Christian and Jew to live and worship as ‘people of the book’, taxed of course! Look back in history and you can find many justifications for your argument, but try living in the now and the future. History is not a ‘fact’, it is a way of deepening, civilising and creating a living culture but their point, I suppose, is they enjoy that clash of civilisations. One of those antis also mentioned another clash of civilisations, capitalism versus communism, and it is perhaps the key to modern American side-based thinking. But then you got the half polish New Yorker who is trying to establish it, two blocks from Ground Zero, saying ‘I’m naard (Not) a humanitarian, I’m a capitalist’, clearly seeking a meaning and community though, and comparing himself, as a property developer, to a ‘shark, used to gobbling up the seals’. So suddenly having to deal with something far more sensitive, was clearly a shock. In fact, though there is a lot commendable in protecting those innocent and frightened Muslims in New York who went underground, he did seem rather naive, and insensitive to the families of all those people who died, and others. Though I am not sure about the blogger’s comment ‘we’re all the families of nine eleven, they just took the hit for us.’His first Imam sponsor though was apparently talking about an ‘interfaith’ centre anyway, not a mosque, while another moderate Imam stressed that his own concept of Islam meant ‘peace‘ and demanded respect for other’s wishes and pain, so it was an insult to put it there. One of the best was the American father of one of the victims, saying something loudly about freedom and responsibility. ‘We know you have the right, but sometimes a hero is made by not exercising that right.‘ The fact is the guy’s personality did him very little favours and why not establish the right, on private property, as Obama supported, in a country that crucially defends the freedom of worship for all, but still take it somewhere else. If that is hard, in New York, seek help for it, and don’t worry about others who try to gloat. OF MEL, MENTORING AND MANKIND – Mmmm? A long time ago I blogged something on standing up for Mel Gibson. Not because I know who he really is, but because the quickness of people to disassociate themselves with the difficult is often filled with an awful hypocrisy. Also because he did a very good Hamlet! I don’t believe he’s a racist, but above all it was extremely painful hearing that pain and rage that came out of him, the collapse of language, since it echoed my own loss of self down the phone to New York. The delight of the public trial, seeing someone brought low, the quickness of the tape to get out there, and the stoneiness of that passive, judging and rather superior American voice ‘You don’t love me,’ sent shivers down my spine. Shivers of shame, but also sympathy. How he went wrong, but how people might understand why and how men can go wrong, so rage, or get lost. How the force of a strong spirit can get so tyrannical and so wounded too, projecting the feminine outwards entirely, but desperately trying to hold on to it. Look inside first. That is not to commend what can happen, but surely thugs on the streets in London might point to the need of good male role models nowadays. It was one of the things that odd crew called The Mankind Project is talking about, not about ‘them’ and ‘us’, but difference and finding male respect for the really masculine, and using it to mentor and grow. One friend who did it made a telling comment, which was ‘I thought I had a problem with women, but it was really with men.’ If you don’t respect men, for whatever reason, how can you find the confident one in yourself and take it to the person you want? He had not grown up with a father, but is now a father himself. So dads, remember to mentor and even initiate your sons in how to hold onto the truly strong, and so gentle and confident male stuff. But as for the Save Mel Campaign, he really should not play with glove puppets!